Doctors, Lawyers And Even Banks Can Help Spot Elder Abuse : Shots - Health News Elder abuse is underestimated, researchers say, and includes physical, emotional and sexual abuse as well as financial exploitation. Doctors, lawyers or banks are often the first to spot problems. Nursing home residents can be at risk, but so are people living at home with a spouse or adult children. That figure, researchers note, is likely an underestimate, since it's based on self-reported cases and its victims often suffer from dementia or are otherwise isolated from people who might notice something is wrong. But the estimate drives home how pervasive the problem is and how familiar its victims might be. 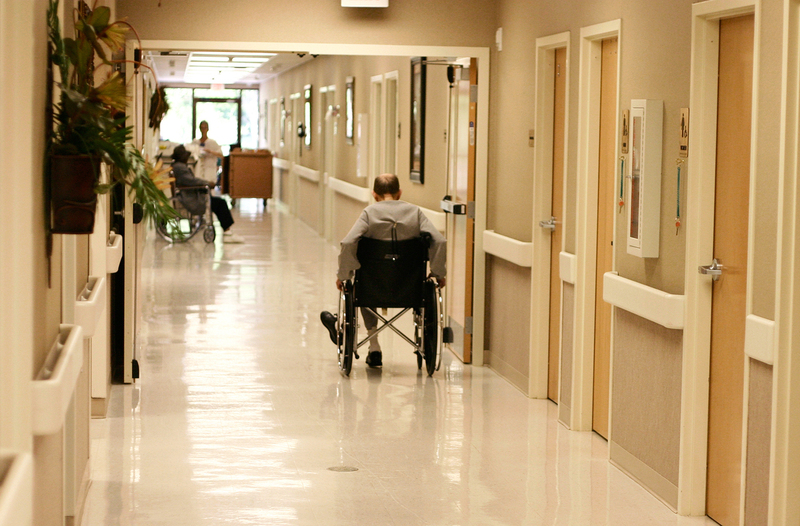 Elder abuse can happen to residents in nursing homes or those living with family members. The "young old" are more vulnerable because they're apt to be living with a spouse or adult children, the two groups most likely to be abusers. If unchecked, elder abuse increases risk of death and can result in long-term harm — putting its victims in the hospital and emergency room and increasing their odds of physical and mental illness. And because the abuse can take various forms and the issues involved are complex, there is rarely a single, easy solution. Instead, with this review of research from the past decade, the authors conclude that multidisciplinary strategies offer the most effective responses. For example, if someone is being physically harmed, he or she could need help from a primary care doctor. But once this initial problem is recognized, it might become clear that the victim also needs a new place to live, which would make the assistance of housing authorities key. Or if someone is scamming the older person or withholding his or her money, getting help at the bank also makes sense. "These cases do not resolve magically — often these play out over months or years," said Mark Lachs, the paper's lead author and director for the Center of Aging Research and Clinical Care at Cornell University. When trying to bring a variety of services to a victim or family, he says, it helps to have them all connected to each other. Lachs is also the medical director for the New York City Elder Abuse Center, which uses an integrated approach when treating victims of elder abuse. It has also been trying to help doctors in other cities develop similar programs. There isn't any data tracking how common these kinds of formal alliances are, said Robert Blancato, the national coordinator for the Elder Justice Coalition, an advocacy group focused on preventing abuse of older people. Anecdotally, though, he's seen many doctors and other service providers across the country using this multidisciplinary strategy. "When they stick to it and do it," he said, "they can show results." Doctors can't fix elder abuse by themselves. But they are often an important first line of defense. So if they do notice something is wrong, knowing about other community resources is key to resolving the issue. "The odds are better that somewhere in that group of people in the [multidisciplinary] team, someone may have the ability to work closer with the elderly person and find out what the situation is," Blancato said. But recognizing signs of elder abuse and coordinating a response isn't easy, Lachs said. "Fragmentation of care is a huge problem," he said. "I've seen situations where patients have been victims of abuse at home, they go to a hospital [and] there's understandably a pressure to get people out of the hospital. They might go to an environment for rehab where the receiving providers don't have an understanding that the family member is physically, emotionally or fiscally abusive because of that fragmentation." Though it may seem unrelated, Lachs said, financial abuse — scamming the older person or mishandling his or her funds — can often accompany medically significant harm. Victims then may not be able to buy medication or get enough to eat, which can exacerbate other health problems. And if abuse goes untreated long enough, he added, patients can end up using expensive medical care they otherwise wouldn't have needed.